The other day, HuffPost Food brought you the 11 Food Trends we've seen over the past year, from insects to meatballs. But almost anyone can see that there are more kinds of bitters on cocktail menus now than there were a couple years ago. It takes a special kind of soothsayer to pick up on the fainter patterns and subtler accelerations that portend the trends of the future. Pretender-prophets abound: every food publication and organization, from the James Beard Foundation to foodchannel.com, releases its own predictions for 2012 around this time of year. One tricky thing about predicting the future is that no one can disprove a prediction in advance, so, on some level, you'll just have to trust that HuffPost Food's predictions are as good as anyone else's... at least until December 2012. The economic doldrums of the past few years have hit most restaurants hard. The one sector that has flourished, though, is fast casual -- so much so that companies like <a href="https://www.huffpost.com/entry/forbes-smashburger_n_1121217" target="_hplink">Smashburger</a> are now considered some of the most dynamic in the country. But traditional fast food markets like burgers, pizza and Mexican are already hugely competitive, so there's little room to grow there. So we see the really interesting action in fast food being Asian. Exhibit one in the case for more fast casual Asian food is Shophouse Asian Kitchen, a Southeast Asian takeout Chipotle spinoff in Washington, D.C.. 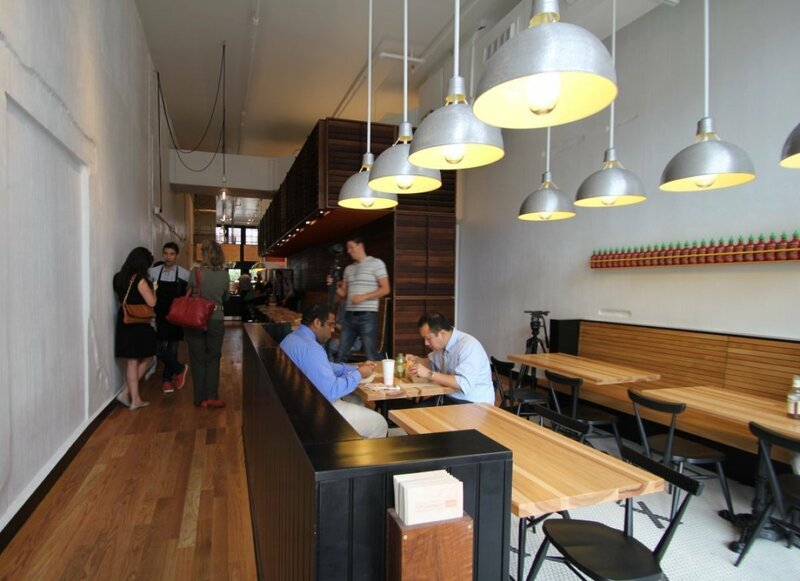 It opened to rave reviews in September, and <a href="https://www.huffpost.com/entry/shophouse-kitchen-reviews_n_984904" target="_hplink">looks poised to go national soon</a>. More evidence comes in the form of banh mis, which have been <a href="http://nrn.com/article/b%C3%A1nh-m%C3%AC-chains-bank-next-sandwich-trend" target="_hplink">cropping up on more and more national chain menus</a> over the past few years, despite their genuine strangeness. But it seems likely that the real movement and innovation in the sector is ahead -- maybe David Chang will make some kind of fast casual chain version of <a href="http://www.momofuku.com/restaurants/noodle-bar/" target="_hplink">Momofuku Noodle</a>? Maybe Singapore-style hawker markets will come stateside? Whatever the future holds, though, one thing's for sure: Panda Express is not the answer.